You might be wondering what exactly native plants are. Most scholars classify native plants as plants that were here prior to European settlement in North America. They have adapted to our climate, thus they usually require less maintenance. They are extremely beneficial to pollinators and other wildlife. They are not invasive (like some exotic plants sold in nurseries and used in landscape), so they will not be detrimental to human health, environmental quality, and to the economy. Plant list for Rendezvous sale can be found here. Plant list for sale can be found here. We will have around 50 different native species for sale, including wildflowers, grasses, shrubs, and vines. The full 2018 plant list is here. * Stock availability is subject to change. *Note: we will not be able to bring every species to every sale. We will try to keep that information up to date for each sale, but if you are interested in a specific species, please contact us ahead of time. We have been working on a native plant resource guide for some of the species we have for sale! We will have hard copies available to browse at our sales, but you can find an electronic copy here. 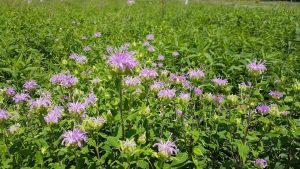 In addition, the CISMA has started a native plant garden grant for local, nonprofit or public organization in Knox County. For more information, check out this informational sheet here.